As a follow-up to my previous post on site availability, tweets are now posted on our Twitter whenever we receive an alert if the website goes down and recovers after that. However, it should be noted that these tweets could be lagging by up to 30 minutes. This feature is useful for users of Twitter. Remember to follow us if you are using Twitter. 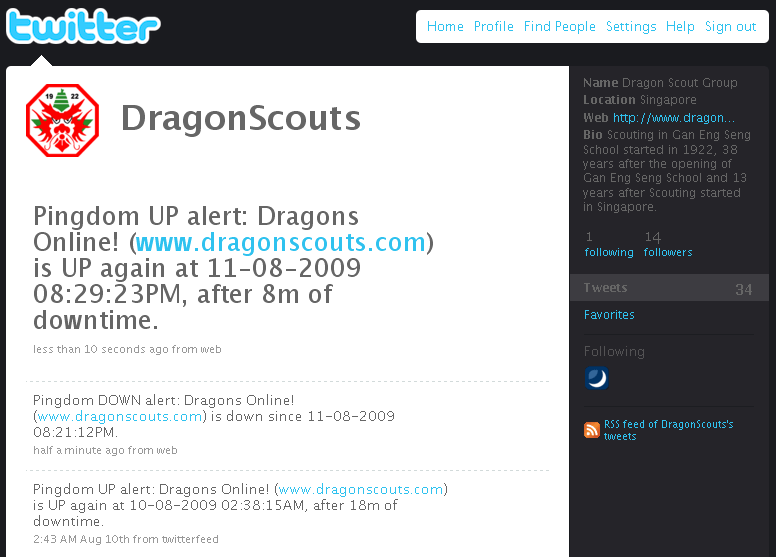 In an attempt to incorporate social networking features into Dragons Online!, I have created a twitter for Dragons Online! 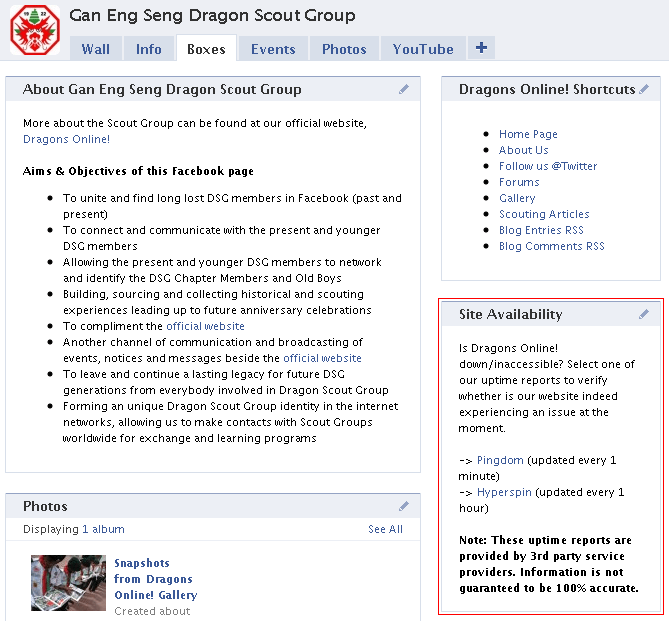 You can follow our Twitter (and other website that supports it) by going to http://twitter.com/DragonScouts or click on the link under Signboard on the right.